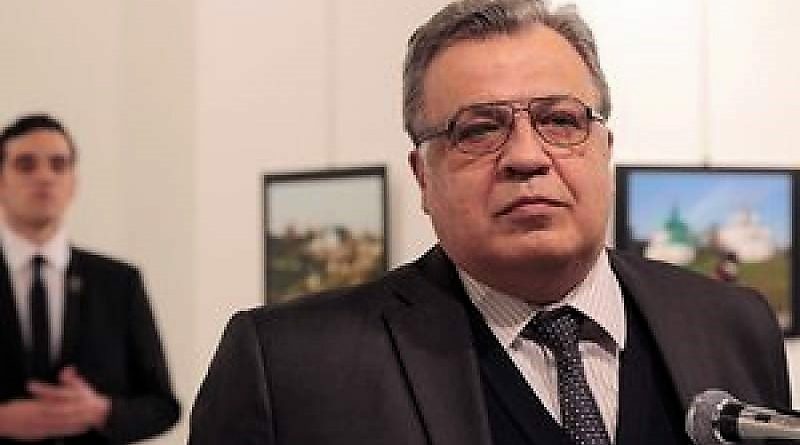 Russian Ambassador to Turkey Andrey Karlov was assassinated on Monday at an art exhibit in Ankara, reportedly shot by Mevlut Mert Altinas, a police officer. According to at least one report, the gunman said “We’ll make you pay for Aleppo” before firing at the ambassador, likely referring to Russia’s backing of the Syrian government in its brutal siege of Aleppo. So far, Russia and Turkey have said that this is a move meant to weaken ties between the two countries, and the U.S. Department of State said in a statement that it is ready to provide assistance to the two countries. It is unclear what will be said, or happen, next. But given tense relations between Ankara and Moscow over the past year, centuries of historical rivalry and animosity, and colliding foreign policies in the carnage of the Syrian civil war, there are a few potential escalatory scenarios to keep in mind. Russian hackers target Turkey. Russia has a penchant for causing domestic political trouble in other countries through conveniently timed cyber hacks (just ask the United States). The Turkish government has been on the receiving end of such hacks before; on Dec. 7, Wikileaks released over 57,000 emails of Berat Albayrak, Turkey’s minister of energy and natural resources and also President Recep Tayyip Erdogan’s son-in-law. With indications of Russia cooperating with Wikileaks to publicize hacked emails in the past, Russian cyber surrogates could target Turkey, revealing more unflattering secrets about people in the orbit of President Recep Tayyip Erdogan. The already fragile relationship between Russia and Turkey could fall apart, leading to renewed economic pressure on Turkey. This is what happened after November 2015, when Turkish F-16s shot down a Russian bomber on the border of Syria. In response, Russia embargoed many Turkish goods, Turkish exports to Russia fell $737 million. Further, the Turkish Stream natural gas pipeline, meant to be part of the two countries’ “strategic partnership,” was put on hold. The economic situation did not improve until Erdogan apologized in June 2016. The assassination is used as an excuse for further democratic repression in both Turkey and Russia. 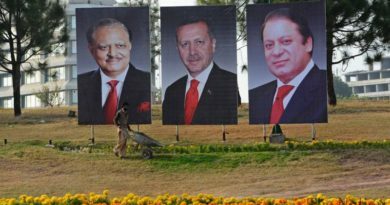 Erdogan detained thousands after the failed coup against his government this July, a putsch that included an attempt on his own life. Putin came to power in part by cracking down against perceived insubordination by violence in Chechnya. Whatever else, the assassination does not bode well for Russian or Turkish civil society. The ceasefire in Aleppo collapses. Russia and Turkey are on opposite sides of the Syrian civil war, but both helped broker the latest ceasefire that allowed rebels and civilians to leave Aleppo. The assassination could cause the ceasefire collapse anew, or lead to renewed fighting elsewhere in Syria. Russian forces are operational in northeast Syria, not far from where Turkish troops have taken part in cross-border assaults on towns held by the Islamic State. Russia plays the Kurdish card. Turkey is a NATO member, making it highly unlikely that Russia would consider starting an out and out war with Turkey itself. Karlov is probably not, in other words, another Archduke Franz Ferdinand. But Russia could use its historical ties with disaffected Kurdish populations in Turkey, including possible support for Kurdish militants, spurring more Kurdish terror attacks. On Saturday, a car bombing in central Turkey killed 13 soldiers and wounded 55. And on Dec. 11, two bombs went off in Istanbul that killed 39 and wounded 154. A Kurdish militant group claimed credit for the Istanbul attacks.